In a perfect world, an employer would look out for its employees and put their best interests forward. In reality, businesses want to make as much money as possible and don’t care about the consequences. As a result, wrongful termination cases have been rising around the world in the past decade. If you believe that your termination was in breach of the law, visit the US Department of Labor for information and to do some research. Here you will find information on how you can file a complaint. In the 21st century, the environment is changing as workers are more empowered than ever to fight back. Still, going to court and taking on the might of a corporation is risky business. To ensure you come out on top, it’s essential to know the ins and outs of the process. Let’s face it – the average employee is a layman with little experience in the courtroom. The good news is that this doesn’t have to be a disadvantage when dealing with a wrongful termination suit. As long as you cover the basics, the chances of winning are high. Keeping calm is the first thing you need to do to help stop the situation from escalating. Comply with any requests that are made or take the rest of the day off to help you regain your composure and process what’s happened. If you start screaming and shouting all over the office, you’re not going to be taken seriously when you try to appeal the decision later on. Put some distance between you and your colleagues and think about what you’re going to do next. Unfair termination or wrongful termination can happen for many reasons, including discrimination. It’s important that you know your rights following employment termination and whether or not you qualify for an appeal. It’s worth having a discussion with your HR representative in the first instance to state your case and see if something can be done. If it turns out that discrimination has played a part in your firing, then this is something that they will be able to look into. If you do think that you have a strong case, or you’re unsure of what your legal rights are, then a specialist employment law firm could help you. Employment lawyers have a wealth of experience in dealing with wrongful terminations and can advise you quickly about whether or not you have a case. Meanwhile, you’ll need to think about what sort of outcome you’d like to receive from your complaint. While many people would simply like their job reinstated, others may feel like they don’t want to return to their work and receive compensation instead. Discuss your wishes with your lawyer to help agree on the best course of action. Most people think the first port of call is a lawyer. Not so because before he or she takes on your case, they need proof. Without it, a legal professional has no idea whether the suit is a good one or an inevitable loser. The thing to remember is that the justice system doesn’t deal with hearsay. To win, an accuser has to prove beyond all reasonable doubt that they are a victim. Rolling up to the dock and telling your story is by no means enough. So, start by writing down what happened. Once you have the events fresh in your mind, try and find the resources which make the case ironclad. For example, co-workers who are friends may step up and say they witnessed workplace harassment. HR should have the date and time of your complaint. If you were fired afterward, it doesn’t look good for the company. Now that you have evidence, it’s time to find a legal expert. Without their skill, experience and knowledge of the courts, it’s impossible to win. People have successfully represented themselves in the past, yet they are few and far between. The thing to remember is that any old attorney isn’t acceptable. Of course, legal aid needs to be high-quality, but, more than that, they need to be a specialist. Law is complicated and only a workers comp lawyer understands the complexities. Finally, consider the price. The average person can’t afford an expensive lawsuit but a cheap one is out of the question. As a rule, the middle of the road is a reasonable choice price wise. Disgruntled workers um and ah over a potential suit for a variety of reasons. Although it’s a big decision, you need to act quickly. Firstly, every case has a statute of limitations. Anyone who leaves it too late may not be able to file a suit at all, then. Secondly, the element of surprise is a vital resource. When a business has to time to take stock, they can get their ducks in a row. Unfortunately, their organization lowers the chances of a win due to their resources. The key is to get in touch with a lawyer and file ASAP. That way, you are on the front foot and they have to play catch-up. Unions are in place to ensure employers don’t take advantage of their employees. However, too many workers don’t join for simple reasons such as the cost or the hassle. Yes, going to a meeting once every couple of months is frustrating, but it’s a small price to pay for their help. In lots of cases, unions have provided legal representation and supplemented legal costs for their members. For a layperson, this type of support is essential. Are you not a member of a union? Contact them regardless and explain your situation. The reality is that unions and corporations like to politicize employee circumstances for their gain. As long as you are okay with it, they may stand in your corner. You were terminated unlawfully and it is your case, but the union and your legal team are in charge. Don’t see this as a slight because it isn’t personal. You just have to accept that they are more powerful and knowledgeable in the area. With this in mind, consider your role in proceedings. Does your attorney need you to gather information they can’t find? Or would he or she prefer you to sit back and let them shoulder the responsibility? The key to victory is a healthy relationship between the accuser and their team. Whatever your outcome, it’s important that you maintain your dignity while facing wrongful termination. Nobody wants to be fired. For some people, being fired comes from poor performance or doing something unsafe in the workplace. If you feel that you’ve been unfairly fired, then it’s important that you know your rights and what the next steps are. It’s not always an easy road, but it’s worth it if you’re serious about keeping your job. Dealing with wrongful termination can be a stressful time, and you should make sure that you get the help you need to pursue your complaint. While this can be a tough situation to come back from, it will make you a much stronger person as a result. 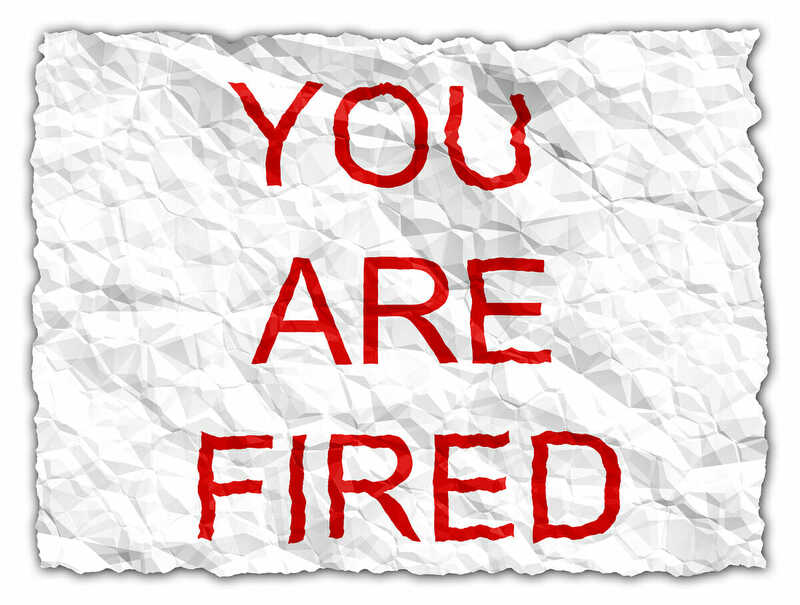 Hopefully, you never have to experience wrongful termination. Should it happen, these tips will come in handy.